Ballet for Adults: Great New Class! The Lively Foundation is proud to announce a new class, Adult Ballet. The class meets at 7 p.m. at 890 Church St., the Mountain View Masonic Center, Mountain View, CA. 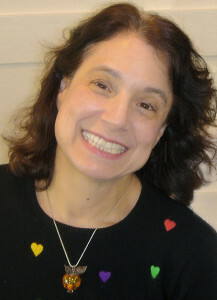 The class will be taught by Leslie Friedman. Dr. Friedman, Artistic Director of The Lively Foundation, has experience teaching professional dancers and beginners. She taught the Ballet Rambert, London, England; national ballets of Poland, the Cairo National Ballet, and dancers at the three Chinese ballets/academies in Beijing, Shenyang, and Shanghai, among others. She focuses on good technique to protect your body and the love of movement. 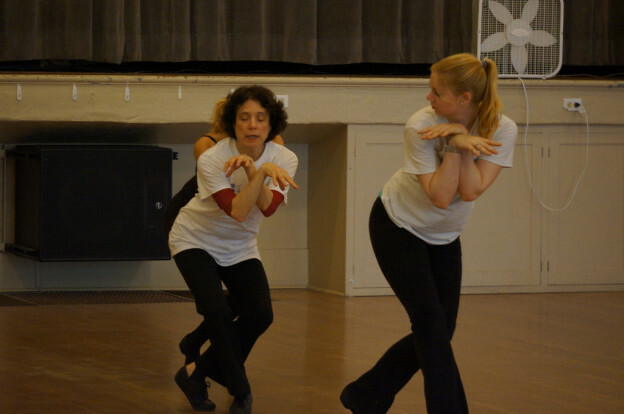 Her goal is for everyone of whatever experience and training to enjoy themselves dancing. Dr. Friedman has performed to great acclaim around the world. The US State Dept. sponsored her tours with host countries in India, Russia, China, Spain, Hungary, Romania, Poland, and many other countries. The class meets Tuesday evenings, 7:00-8:15. Dancers may buy a 10 class class card for $130 or drop in for $15 per class. There must be 4 class card holders to keep going. For more information, please email livelyfoundation@sbcglobal.net or call 650/969-4110. This entry was posted in Classes-The Lively School and tagged Adult Ballet, Ballet, Leslie Friedman, Mountain View Masonic Center, The Lively Foundation, The Lively School on September 27, 2016 by Leslie. Join us February 28, 6 p.m. for the Choreo-cubator© Showcase. Three participants in the choreography workshop will perform their new work. Exchange ideas with the choreographers. Explore their creative journeys with them. At the Mountain View Masonic Center, 890 Church St., Mountain View, CA 94041. Admission is free; donation appreciated to help us continue to offer opportunities to artists to develop their work and themselves. Refreshments are free. A congenial and fascinating experience awaits you. Just after the last class of the Full Day of Dance©. Here is Rachana Reddy, a lovely dancer of the Kuchipudi tradition of Indian classical dance. She is using traditional movements in new choreography. Wonderful. This entry was posted in Classes-The Lively School, INTERNATIONAL DANCE FESTIVAL-SILICON VALLEY on February 25, 2016 by Leslie. CLASS SCHEDULE for WWW.2.0: Feb. 28! HERE IT IS: Your key to a day of dance. This is the class schedule & price list for the Winter Full Day of Dance. It’s coming soon!!! Register now for a wonderful dancing experience. Share the news with your dancer friends and with the friends who think they can’t dance! Everyone has a great time from pros to beginners. REMEMBER: price per class reduces with each added class. TAP, 11:30 A.M. – 12:30 P.M.; PILATES MAT, 12:45-1:45; CONTEMPORARY, 2:00-3:00; LINE DANCING, 3:15-4:15; IMPROVISATION, 4:30-5:30. PRICES: BEST DEAL & MOST FUN: TAKE THEM ALL! SPECIAL OFFER: Attend the Choreo-cubator@ Showcase performance for FREE and watch the new works. Your ticket to the Showcase is your receipt for Winter Full Day classes. Enjoy the dances and the FREE refreshments! This entry was posted in Classes-The Lively School, INTERNATIONAL DANCE FESTIVAL-SILICON VALLEY and tagged Contemporary Class, Full Day of Dance, Improvisation class, International Dance Festival-Silicon Valley, Line Dancing class, Lively Foundation, Pilates mat class, Tap class, Winter Full Day of Dance, Wonderful Winter Workshop on February 9, 2016 by Leslie. The Lively School offers classes for adults–older teens to any age adult (REALLY ANY AGE) in ballet, contemporary dance, dance workout, Yoga for Life, and Creative Movement & Storytelling for Children. Dr. Leslie Friedman, Artistic Director of The Lively Foundation, is an internationally celebrated dancer/choreographer/teacher who has won acclaim from audiences and critics around the world. She has taught technique and her original choreography to national companies in China, Russia, England, Poland, Korea, Romania, Spain, and more. In the US, she has been a guest artist/teacher at universities throughout the country as well as setting her choreography on companies across the US. 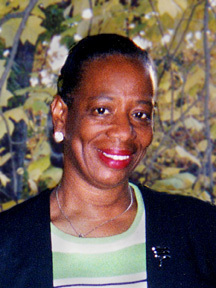 She has taught adult beginners and children as well as professionals for many years. She is one of the very few acclaimed artists who offers private classes to adults whether beginners or pros. This gives the students maximum flexibility in scheduling classes. She also offers small group classes. Sign up now! The grace, strength, balance, flexibility of dance will add joy to your life! Contact: livelyfoundation@sbcglobal.net or call 650/969-4110 Classes at: Mtn. View Masonic Center, 890 Church St., Mountain View, CA. This entry was posted in Classes-The Lively School and tagged Ballet Classes, Contemporary Dance Classes, Creative Movement & Storytelling Classes for Children, Dance Classes, Dance Workout classes, Dancer Leslie Friedman, Leslie Friedman, The Lively School, Yoga for Life classes on October 2, 2014 by Leslie.